Instagram may be designed for smartphones, but you've probably noticed that the best photos have a distinctly non-camera-phone vibe to them. Savvy Instagrammers post high-quality DSLR or point-and-shoot photos instead. You can create a high-quality Instagram feed, too, with a little help from Dropbox and your iOS or Android device. The goal is to get the photo off your camera and onto a phone or mobile device with the Instagram app installed. The first step starts with your camera. Transferring your photos to your computer only adds an extra minute or two, and has the added benefit of letting you use your computer to back up and organize your photos. You can transfer your photographs from your camera to your PC with a card reader, or by connecting your camera directly to your computer. 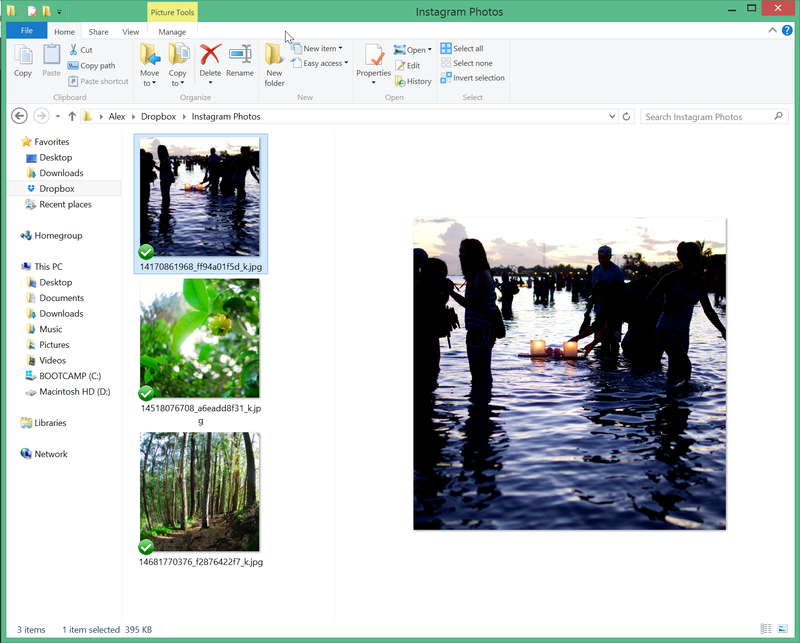 Copying the images into a folder is the quick-and-dirty way, but photo organizing software like Google’s Picasa will make it easier to locate your images quickly. If you’re shooting RAW files with a DSLR, you should be using a more full-featured photo organizer like Adobe Lightroom. You can edit photos on your computer before you post them to Instagram. If you don't have a copy of Adobe Photoshop, you can use a number of free tools like Pixlr, Adobe Photoshop Express or GIMP. Remember that images posted on Instagram are square. 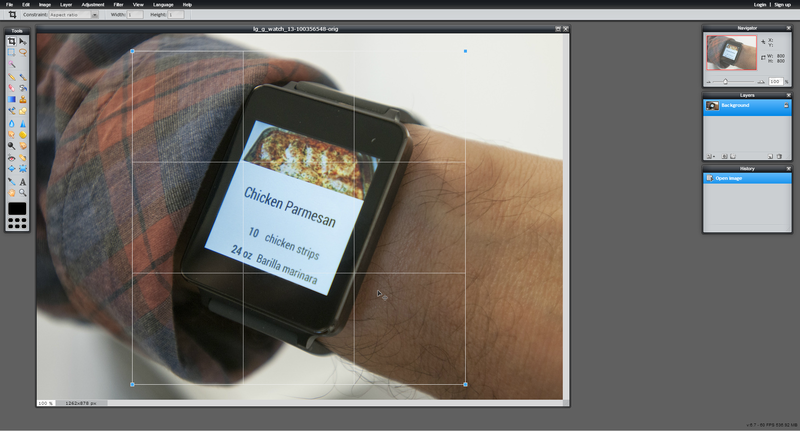 When cropping, set the editor to select an area with a 1:1 ratio. You can use free tools like Pixlr to crop and edit photos for Instagram. Just be sure to crop with a 1:1 ratio, as shown here. While you can crop and resize in the Instagram app, you’ll probably get better results on your computer. If you're transferring a lot of photos, you can save storage space on your device by proactively resizing your images to 640x640 pixels—Instagram’s native size. The next step is to move the photos to a cloud service, which has the additional benefit of providing an off-site backup. We're going to use Dropbox for this example, but any cloud storage account with a mobile app will do. On your computer, go to your Dropbox folder and create a new folder called "Instagram Photos." Copy the desired photos into this folder. 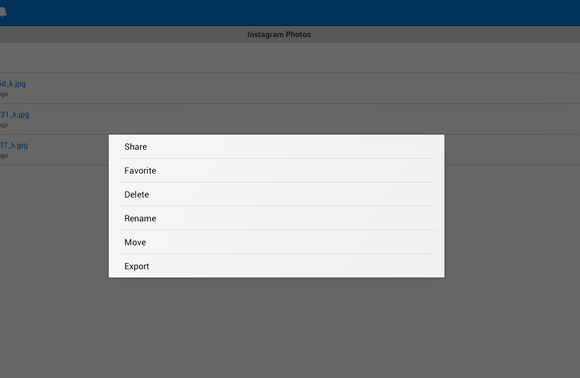 In Windows, copy or move the photos you want to share into your Instagram Photos folder inside the Dropbox folder. When you open the app, you should see everything you’ve stored in your Dropbox folder, including your new directory of Instagram photos. 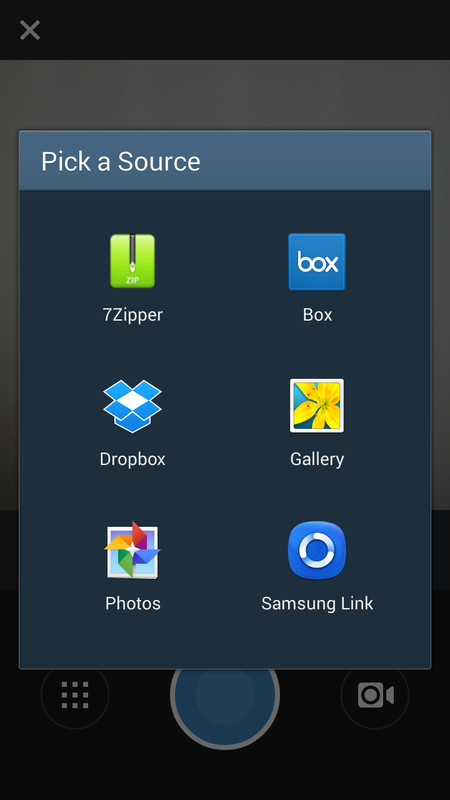 Unlike the desktop application, the mobile Dropbox app doesn’t automatically download files to your mobile device. Instead, it just allows you to view all the files you've stored in Dropbox. If you're using iOS, you'll have to download the photos to use them with Instagram. Navigate to your Instagram Photos folder in the Dropbox app. To download a photo, tap the small download icon in the bottom-right corner of the photo, then tap Save Image. With recent versions of Android, you don't have to download the photos to your device to use them in Instagram. If you have an older version of Android, though, you'll have to download the files to your phone, as with iOS. This is also the case if you're using BlueStacks to emulate an Android device on your PC. 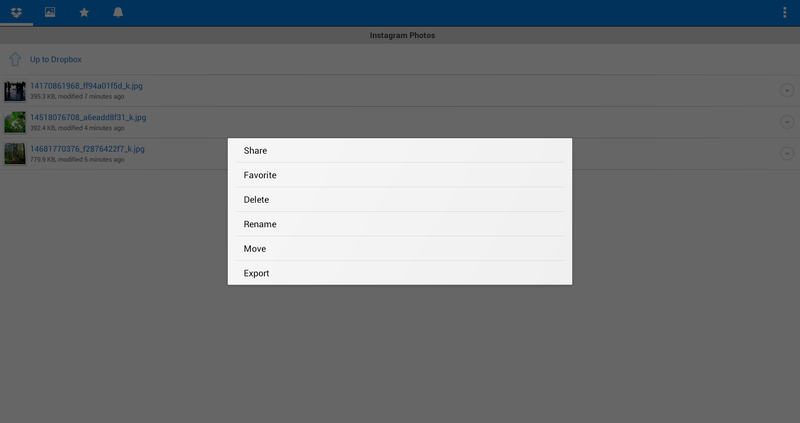 Navigate to your Instagram Photos folder and find the photos you want to use. 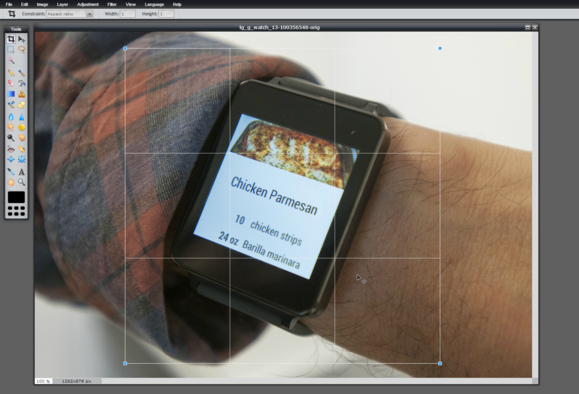 Tap and hold on the photo’s name, then select Export from the menu that opens up. From there, choose to save the picture to the SD card. 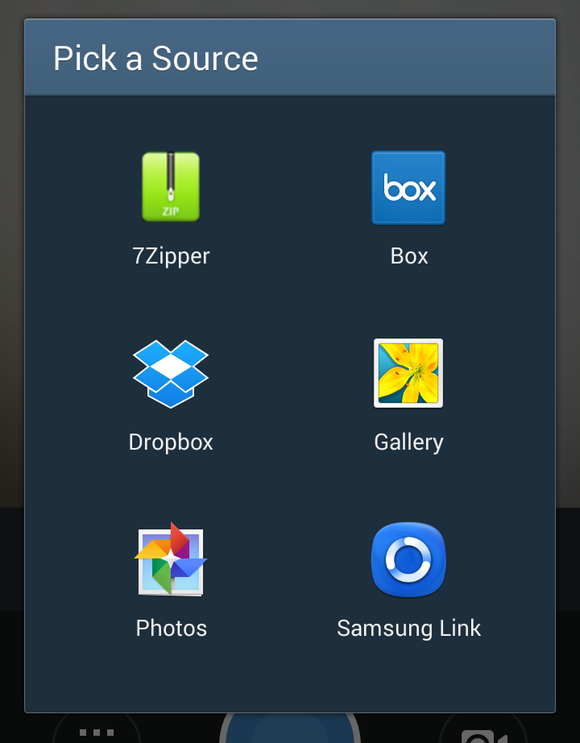 In older versions of Android, you may need to export the photos from Dropbox to a local folder on your Android device. Save the photo in your device’s Pictures folder—this will make it available in the Gallery. You can use this same procedure to export an entire folder at once. Now you’re ready to use Instagram to edit and post your photo. This process is nearly identical in both the Android and iPhone Instagram apps. To begin, open Instagram and tap the blue 'shutter' button located directly in the center of the bottom bar. To the left of that button, you'll see a button to open a saved image. The button in the lower-left of the Instagram app's add-photo screen, as shown here in iOS, lets you use an existing photo for a post. In iOS, you access saved images via an icon showing a thumbnail of the most recent image in your camera roll. Tap it, and photos will appear at the bottom of the screen, including those we transferred over from Dropbox. Tap the photo you want to use, crop it (if necessary), and tap Next. In Android, tap the saved-image button, which looks like a tic-tac-toe grid of nine squares. If you have a recent version of Android, you'll be presented with an option to choose where to look for your photos. You should see an option to use Dropbox. If you don't see an option to choose the source of the photos (or you don't see the Dropbox icon), download the photos manually per the instructions above. In recent versions of Android, you'll be able to select the what photo source you'd like to use in Instagram. Tap the Dropbox icon, navigate to your Instagram Photos folder and select the photo you want to share. In older versions of Android (or if you downloaded the photos to your phone manually), look for the photos in the Gallery. After you select your photo, you can use the standard suite of Instagram editing tools and filters. Finally, post to your feed and prepare for a shower of Likes and admiring comments. Have fun, and happy shooting! Alex Castle is a freelance tech writer based in Honolulu, Hawaii. He specializes in Windows software, how-to articles, and PC peripherals.